In my article http://blog.ganser.com/975 I described the update from the first version of vCenter Server Appliance 6 to the Update 1. The update needs to connect an ISO image and CLI commands to be installed. 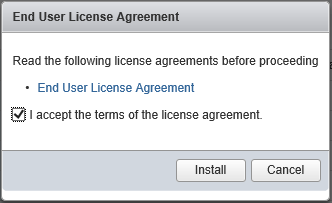 In vCenter Server Appliance you could go the same way or update via Webinterface. 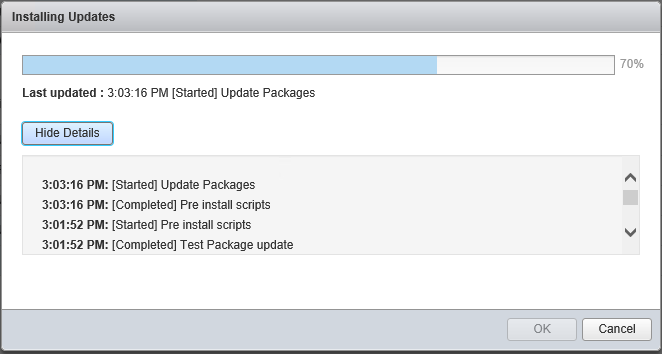 On January 22nd VMware Release Notes added a hint, what to do if the installer stuck at 70%. Read more at the end of my install steps. There is a known issue, while installing the update. 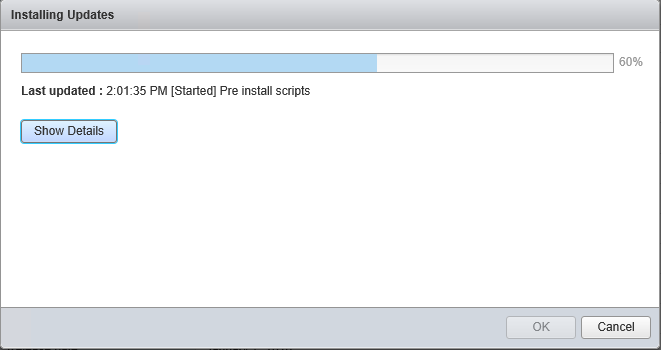 The status stuck at 70%, but the installation runs to the end. Read more at the end of the steps. Back to “.. a while…” 30 Minutes are possible. 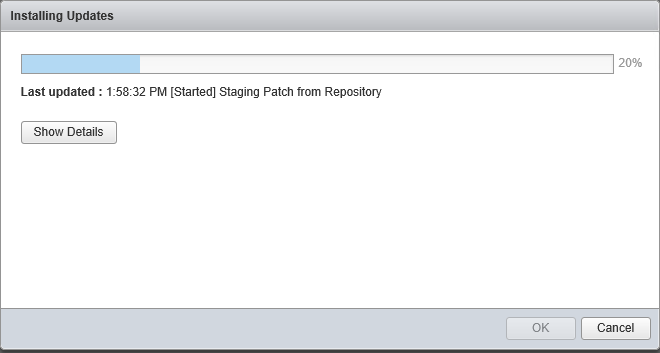 The WebClient or the vSphere Client will fail after minutes, because vCSA processes will stop. After the update the vCSA will reboot.